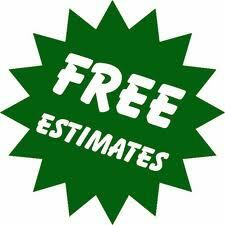 We strive for 100% customer satisfaction by providing top notch lawn care services at a very affordable cost. We will honestly tell you what you can expect as a result of our services. We will not make unrealistic promises and will do what we say we will do. Your complete satisfaction is always guaranteed. Cowboy Lawn and Sprinkler offers 7-8 visits per year that includes premium lawn fertilizer and soil treatment applications. 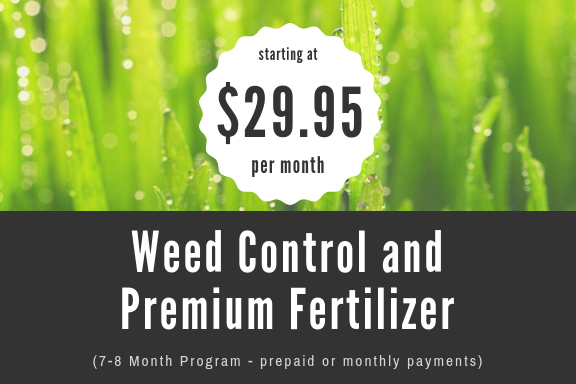 This program also includes effective weed control treatments to your Littleton, Highlands Ranch, West Centennial, South Lakewood or South Denver area lawns. Want a green, lush and organic lawn with no harsh chemicals or synthetic fertilizers? 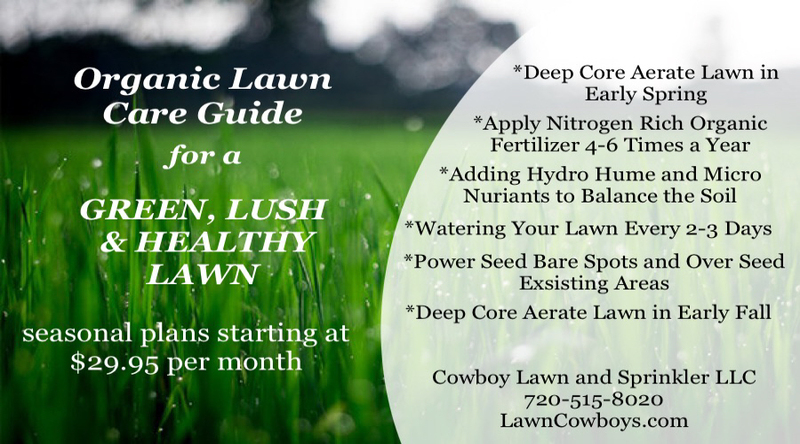 Cowboy Lawn and Sprinkler offers organic based fertilizer and soil treatments that help keep your lawn green and healthy as well as safe for your pets, children or anyone else. 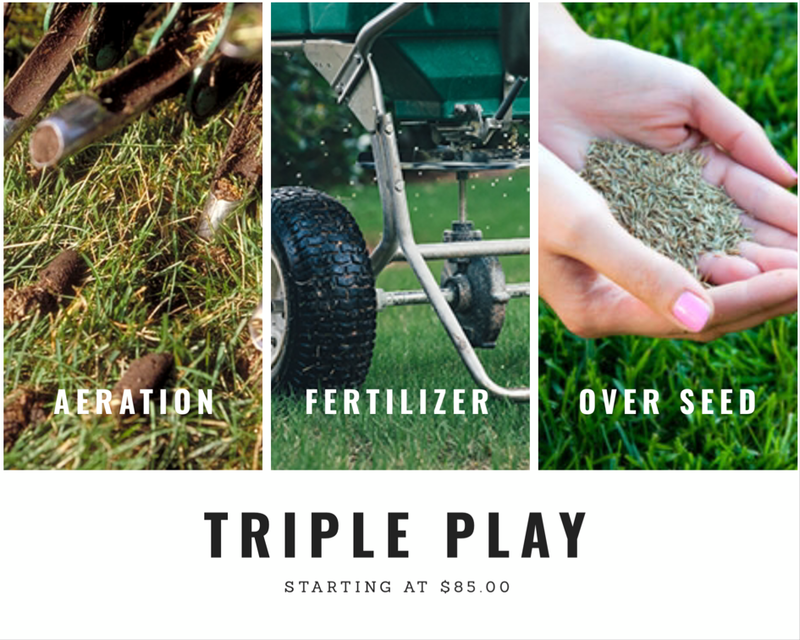 Get ready for spring or fall with our Triple Play Package. We can provide a deep core lawn aeration, premium fertilizer application and spread grass seed. We apply grass seed at a 1lb per 1000 sq ft rate allowing new growth and thickening to occur. 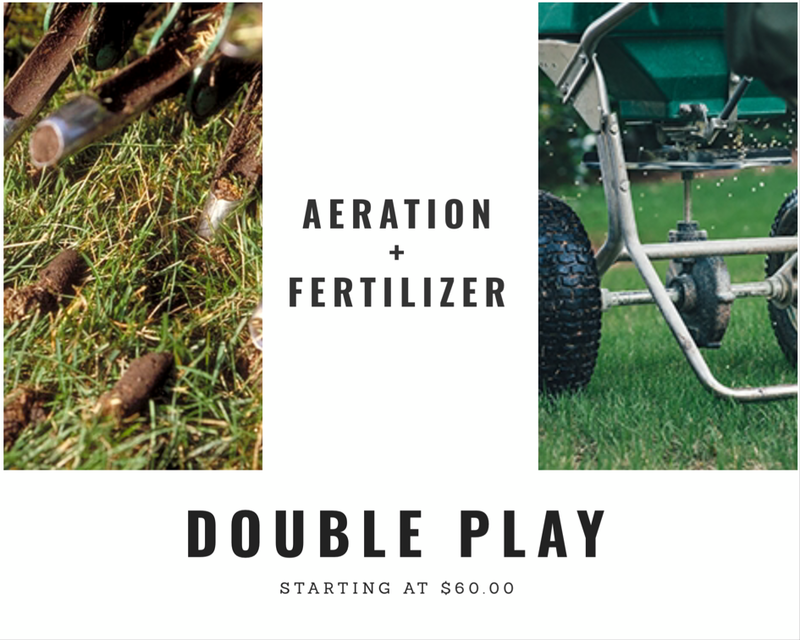 Our Double Play and most popular seasonal package offers a deep core lawn aeration plus a spring or fall blend of premium lawn fertilizer. It will help green your lawn in the spring or get it ready for winter in the fall. 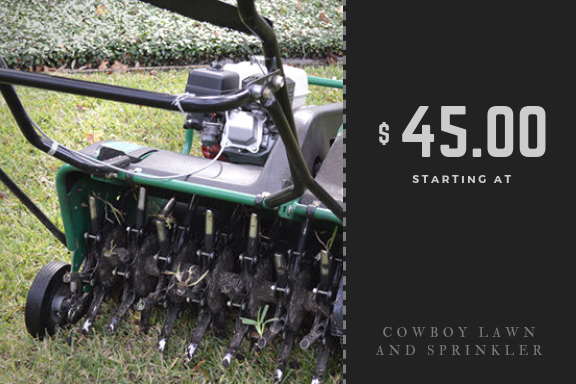 Cowboy Lawn and Sprinkler can provide seasonal deep core lawn aeration services. We provide plugs as deep as 3 1/2 inches and as many as 9-12 holes per sq ft.